HOME - Major Concrete Inc.
HOW CAN WE MEET YOUR CONCRETE CONSTRUCTION NEEDS? Major Concrete has a strong team with a diverse skill set and knowledge base. We are ready to help with your concrete needs! Major Concrete has over 45 years of concrete experience. Come take a look at just some of our work. We are ready to help you with your concrete needs. Please contact for more information to get started. Contact us to speak with someone today. Major Concrete Inc was founded in 1971 and has been serving the Wichita community for over 40 years. Although located in Wichita, and are also available throughout Kansas and surrounding states. We are a competitive company focusing on large and small commercial projects as well as some private concrete work. When dealing with Major you can guarantee a commitment to excellence, the integrity of work, and competitive pricing. Major prides itself on timeliness, as well as quality service, and excellent teamwork with their customers. 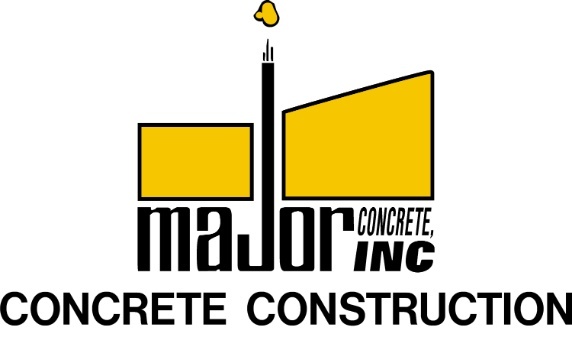 Contact Major today to see how we can help with your concrete construction needs. Honest and reliable, we get the job done. The mission of Major Concrete is to provide concrete construction with the highest quality of customer satisfaction delivered with quality, pride and in a safe and timely manner.